Pioneering computer scientist, engineer and applied mathematician Professor Erol Gelenbe has been honoured with one the world’s most prestigious science and engineering awards. The Mustafa Prize, awarded biennially, is a top science and technology award. It was first awarded in 2015 in the field of Nano-Technology to Professor Jackie Ying, a native of Taiwan working at Singapore’s A* Institute and MIT, and to Professor Omer Yaghi from UC Berkeley’s Chemistry Department. Awarded on 3rd December 2017 in Tehran, Iran, Professor Gelenbe from the University of Newcastle and Imperial College London was successful in the field of Information Sciences and Technology. Professor Gelenbe received $USD 500,000 and a special medal and certificate in Vahdat Hall, the Opera House in Tehran, infront of some 1000 guests from all over the world. “I am surprised and honoured to get this award. I’ve never been to Iran before and this promises to be an amazing first visit. "I’ve always had a passion for fundamental research on the mathematical foundations for computer and communication systems, that lead to building better systems and improving their usage and performance, and that is what has driven me over the years, so it is nice to be honoured in this way,” Professor Gelenbe said. Professor Gelenbe has been a prolific researcher, publishing in excess of 360 papers through his storied career in Belgium, France, the USA and the UK. 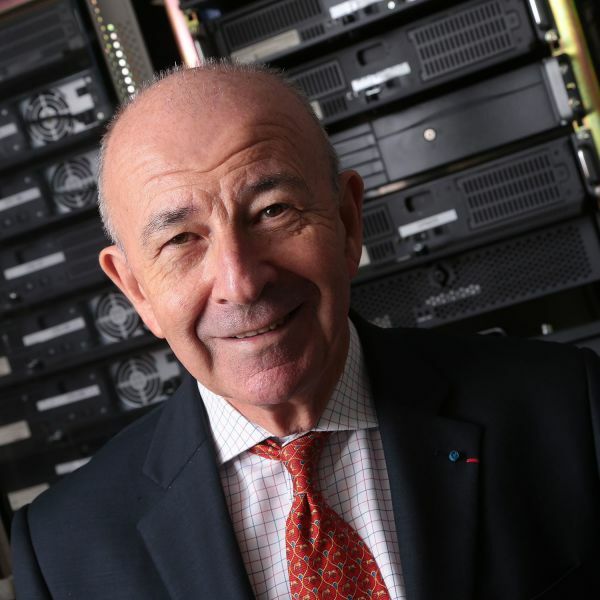 He is the inventor of the eponymous G-networks or Gelenbe Networks that are the underpinning science used to evaluate the performance of computer networks, while they are controlled to ensure they function smoothly without overloading. In one of his many breakthroughs, Professor Gelenbe invented the random neural network that closely models the spiking behaviour of natural neuronal systems together with learning algorithms for these systems. Professor Gelenbe and his colleagues are also credited with inventing many years ago a patented multi-hop computer architecture for conveying voice and images over packet networks, also established the theoretical underpinnings for this approach, which is now widely used in the telecommunications industry. For some of his inventions, Professor Gelenbe and the teams he created, gave up personal financial reward in exchange for distributing software freely to universities worldwide, so as to spread knowledge and social benefit. During his long career, Professor Gelenbe has supervised over 75 PhDs who now work in Asia, Africa, Europe and the Americas. The American Mathematical Society ranks him among the top 30 most prolific PhD supervisors in the mathematical sciences. His former PhD students include many talented women researchers and academic leaders. As part of his visit to Iran, in addition to his acceptance speech, Professor Gelenbe will give two lectures in Tehran, one at Sharif University and the other at the Graduate University for Professors known as Tarbiat Modares University.